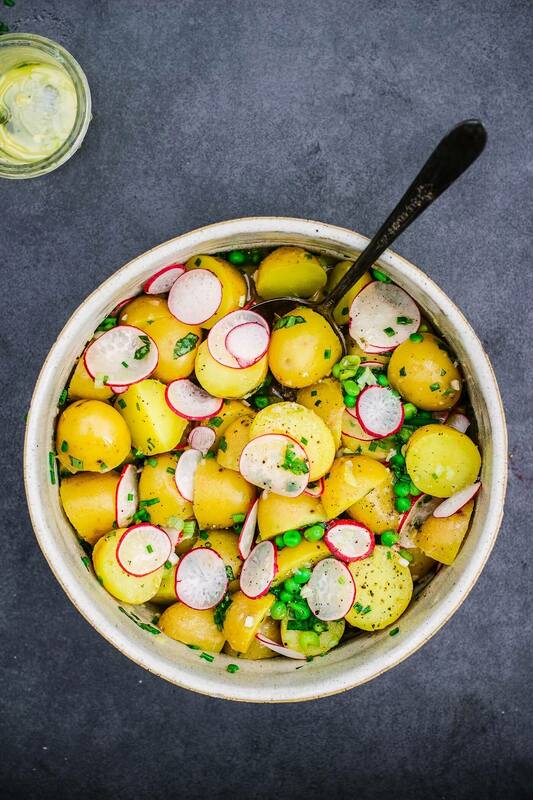 This is my dream potato salad- lemony, with perfectly soft potatoes, fresh herbs and a little bite form the radishes. It’s so easy and is perfect for picnics, parties or just a side dish for a summery dinner. The vinaigrette is heaven and the peas and radishes add gorgeous colour and texture. Add the potatoes to a pot of boiling water and boil for about 15 minutes, until tender. If using frozen peas, add these in for the last 45 seconds. Drain them and set them aside to cool. Finely chop the herbs and use a mandolin to grate the radish into super thin discs. Add them to a large bowl. Whisk together all of the dressing ingredients. Taste, and season with sea salt and pepper. 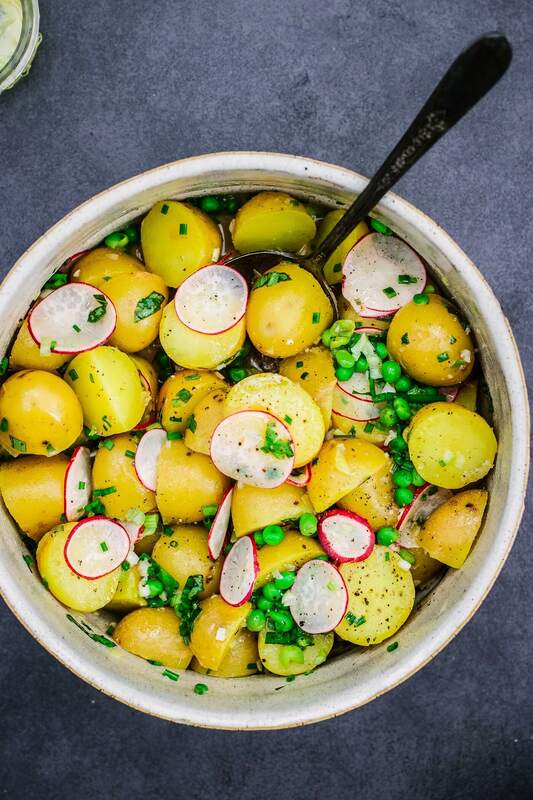 When the potatoes are cool, chop any big ones and then add them all to the bowl.